Why Use A Nectar Broker? Beau’s background in finance and banking roles with Westpac and St George has made him well aware of the difference that being equipped with the right financial tools can make to people’s lives. In fact, the thing Beau loves most about his role is seeing that moment when something ‘clicks’ for a client and they realise that they are one step closer to their goal, whether that’s a first home, an investment property or a commercial loan. Beau knows that every client is different and he will work through a range of mortgage options to find the one that suits you best. As a Nectar broker, Beau has access to more than 30 lenders across Australia and, can help you complete all of the required documentation, including a First Home Owner Grant application if it’s available to you. Beau prides himself on his close working relationships with clients which often results in them passing his name to their family and friends. Has access to more than 30 lenders, so he’ll find the right loan for you. Will take care of you every step of the way, through the application process AND for the life of your home loan. Can get you pre-approval fast, depending on your situation. Is a fully accredited mortgage broker and a member of the MFAA (Mortgages & Finance Association of Australia). Will help you complete the loan documents, including a First Home Owner Grant if you’re eligible. Beau Duggan is an authorised credit representative (Credit Representative Number 486479) of QED Credit Services PTY LTD (Australian Credit Licence number 387856). 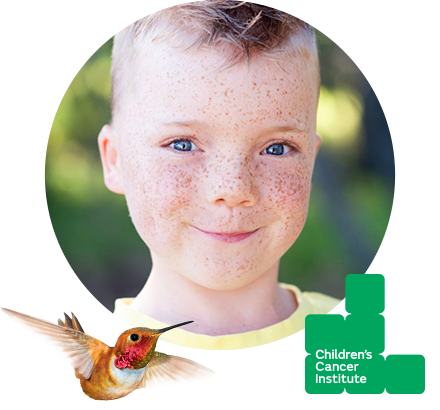 We've joined the Children's Cancer Institute on their mission towards Zero childhood cancer. Our Nectar brokers will make a generous donation to the charity's research on your behalf whenever you take out an applicable home loan. Beau has been awesome, taking all the stress out of refinancing and found the right loan for us that we simply would never have found without his help. Nectar Mortgages PTY LTD is a Corporate Credit Representative (Credit Representative 446035) of Custom Equity Group PTY LTD (Australian Credit Licence Number 383666). Nectar Mortgages No 1 PTY LTD is an Authorised Credit Representative (Credit Representative 491627) of QED Credit Services PTY LTD (Australian Credit Licence number 387856).